If you're in the market for a new car, we'd never suggest pursuing a vehicle that everyone else is driving. Purchase whatever vehicle fits your needs and desires, and you'll surely be happier with your decision.Still, it's worth examining the trends in the automotive industry, and Google.com allows us to use their analytics to determine the most researched vehicles of each month. For October, a mainstay on the list once again earned the top spot. The Ford Mustang finished October as Google's 'most-searched' car, and the pony car has held the top spot for each month in 2016. The vehicle has also been in the top-10 for the past 142 months, meaning December of 2003 was the last time the vehicle was absent from the list. There are a number of reasons why the Ford Mustang would consistently lead these rankings. The vehicle is the most popular pony car in the world, and many customers are willing to rely on the car's legacy as justification for making the purchase. 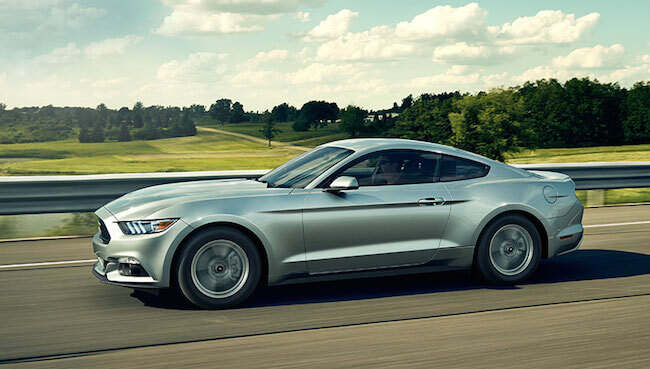 The 2015 Mustang retained the vehicle's familiar attributes, like (as CarAndDriver.com eloquently pointed out) the "[b]urly looks, burly sounds, [and] extroverted personality. "Potential customers may also appreciate the impressive engine selection, including the 300-hp 3.7-liter V-6, 310-hp 2.3-liter turbo four-cylinder, and 435-hp 5.0-liter V-8 (all accompanied by either a six-speed manual or automatic transmission). The 5.0-liter V8 is the most impressive of the bunch, delivering a 15 city/25 highway mile per gallon fuel efficiency, a 4.5-second 0-to-60 time, and a top speed of 164 miles per hour... all incredibly impressive specs! Of course, buyers could also be swayed by the eye-popping price tag, as the $33,295 MSRP is beyond reasonable considering the vehicle's abilities and style. The rankings prove that the model's declining sales aren't indicative of the vehicle's abilities, but rather the number of choices available to potential buyers. Having consistently sold 100,000 to 200,000 units each year since the nameplate's introduction in 1964, sales dipped to 91,251 units sold in 2008 and 66,623 units sold in 2009. These sales have steadily grown over the past several years, as 82.635 units were purchased in 2014. A number of other models have held the top spot in recent years. The Chevy Corvette, Honda Civic, and Chevy Camaro also spent time at number one, and the trio of vehicles have been in the top-10 for the past 142 months. The Chevy Silverado was also a previous number-one, having spent 103 months in the top-10. The Silverado finished second on the October list, and the heavy-duty pickup also finished eighth on Google's list of the "top-trending" vehicles. The pickup has continued to establish itself as the most popular vehicle in the class, as sales have grown steadily after an all-time low of 428,396 units sold in 2009. In 2014, the company sold 741,588 Silverados. Other vehicles included in the top-10 included the Chevy Camaro, Jeep Wrangler, Honda Civic, Toyota Tacoma, Chevy Corvette, Honda Accord, Ford GT, and Subaru Impreza. The Lamborghini Huravan and Jeep Grand Cherokee were both new additions to the October top-20.